A street-food stall serving "fresh" sashimi on a busy street in Bangkok. 100°F temperature, air-borne pollutants, lidless display cases combined with raw fish... what can possibly go wrong? So far, nothing, as far as I'm concerned. 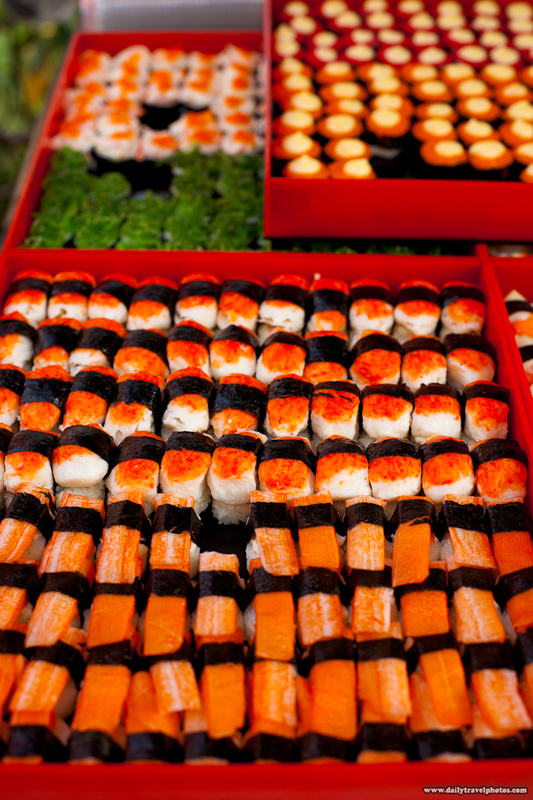 Among the variety of street food in Bangkok is the oft-available street food 5 baht ($0.15) "sushi". As a man of unrefined taste who values a good deal, I pop a few of these sashimi whenever I get a chance. Over the course of several years' worth of trips to Thailand, despite the seemingly high odds, I have yet to catch any debilitating illnesses from outdoor street sushi. 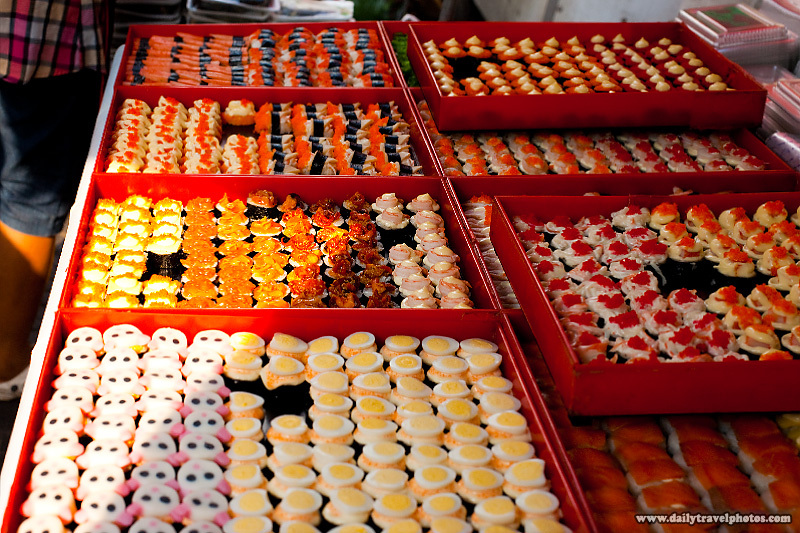 Direct sunlight pierces the edge of a street-food cart hocking a variety of sashimi on a busy street in Bangkok. I've never ever had a single serving of street-sashimi but I can tell you that the current feeling of nausea pulsating through my body is a direct cause of this "food" of which you speak. There are several things wrong with this 'picture,' particularly the placement of the words street, 5 baht and sushi in the same sentence. @R, delicious! I'll take 10!